Many individuals and families are affected by suicide, with 2, 132 deaths by suicide in Australia alone in 2009 (ABS , 2011). Suicidal thoughts can be a common response to a crisis, particularly when people feel trapped and unable to see a way out. Being given the opportunity to discuss these thoughts can be the key to exploring alternatives to suicide and keeping safe. 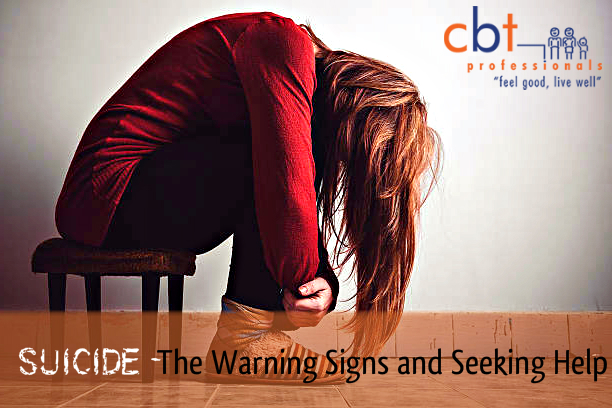 This article outlines the risk factors and warning signs that someone may be about to attempt suicide and where help can be sought. Sudden change in demeanour from depressed to happy (person may be feeling relieved that it will soon all be over). 4. Directly ask “have you had thoughts of ending your life?” – this won’t put the idea in their head but rather help them to feel safe that they can talk about their thoughts and that it is OK to talk about suicide. The person may even feel a sense of relief of being able to share with someone how they are feeling. 5. If the person reveals that they have had thoughts of suicide, support the person to seek professional help – provide numbers, offer to go with them to the doctor or hospital, importantly stay with them until support has been sought. If you or someone you know has suicidal behaviours, self-harm or in a suicidal crisis seek help. Even if you think these are ‘just fleeting thoughts’ it is recommended to seek help. In an immediate emergency where safety of yourself or someone you know cannot be assured call 000. If it is possible to do so safely, go to the nearest hospital emergency department for an assessment. Other options may include phoning a helpline such as Lifeline or the Suicide Call Back Service (see below for numbers). For Gold Coast residents, phoning The Gold Coast Mental Health Service Acute Care Team (ACT) on (07) 5667 2000. Speak to your GP and obtain a referral to a psychologist for therapy. Talk to a trusted person – family, friend or colleague. Psychologists generally work with people contemplating suicide by assisting people to respond to their crisis through problem-solving and exploring alternatives to suicide, ensuring safety through mobilising any supports required, and exploring reasons for living and what matters to the person. APS eLearning course Suicide Prevention Professional Development Training (2013). Zettle, R. (2007). ACT for Depression: A Clinician’s Guide to Using Acceptance and Commitment Therapy. Oakland, CA. New Harbinger Publications, Inc.
Blog written by CBT Professionals Clinical Psychologist on the Gold Coast, Dr Tamera Wiggins. CBT Professionals are a team of clinical psychologists on the Gold Coast with offices in Coomera and Nerang. Gold Coast CBT psychologists offer services to adults, children, and couples.